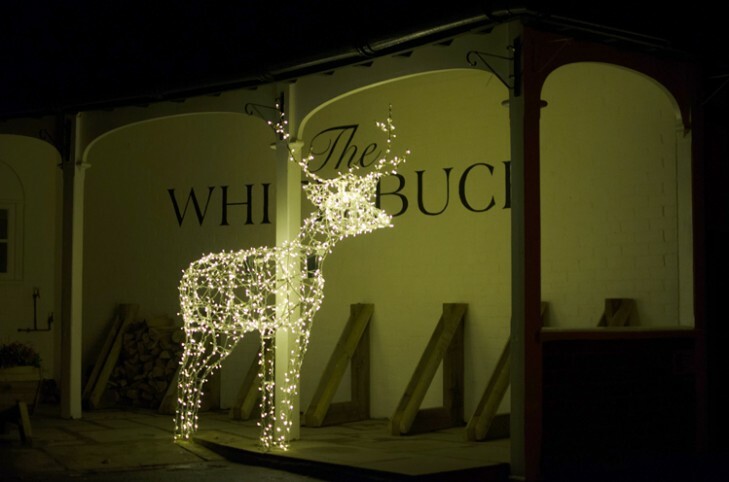 We were asked by a local pub to have one of our standard wire topiary deer frames covered in 1000 sparkling LED lights to help raise funds for charity. 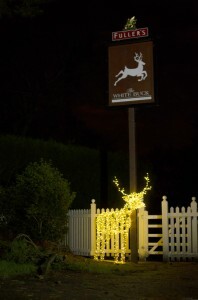 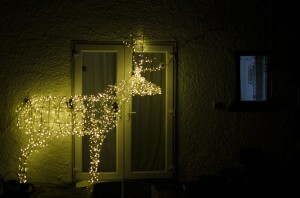 The work took no more than a morning and the results were fantastic, using LED lights as an alternative wire frame covering creates a unique figure that truly brightens up the evening. 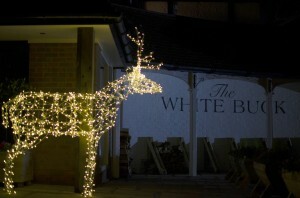 ‘Rudolf’ was stationed outside our local pub in the New Forest, ‘The White Buck’ to help raise funds for Greenfingers, the organization that creates magical gardens for children’s hospices.